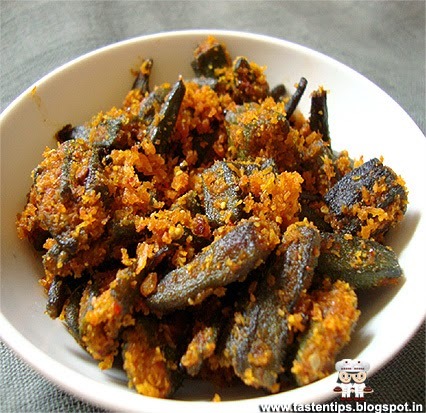 Stuffed Bhindi is a delicious dish filled with spices served as a side dish. 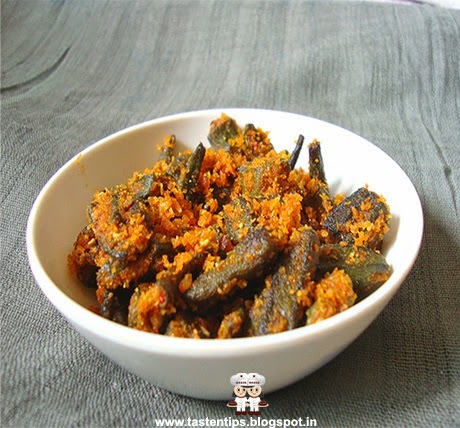 Bhindi stuffed with different spices offers a novel and tasty twist. The rich and tasty stuffed bhindi can be made easily at home. 1. 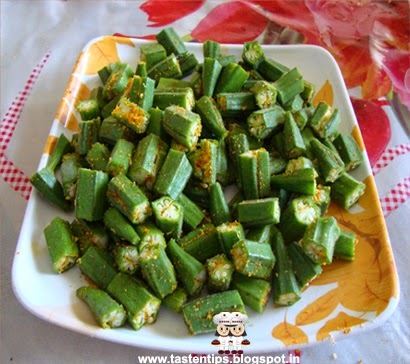 Wash bhindi/okra, dry with kitchen towel, keep aside. powder, turmeric powder, desiccated coconut,salt and mix well. 3. Now cut head, base of bhindi, slit them length wise. 4. 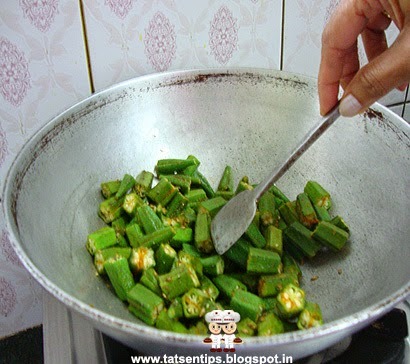 Stuff the masala in bhindi with hands. 5. 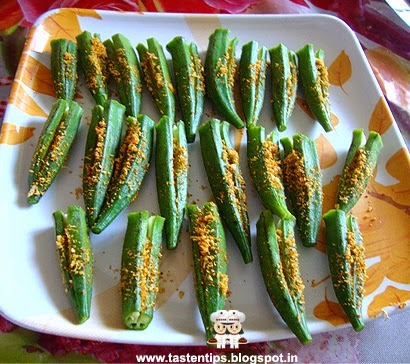 Cut the stuffed bhindi into small peaces. 6. 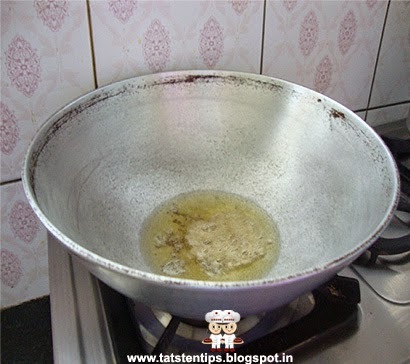 Heat oil in a kadahi. 7. Add mustard seeds, cumin seeds, when they crackle add asafoetida. 8. 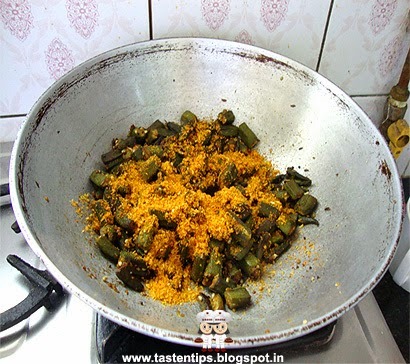 Add stuffed bhindi to oil. 10. When bhindi is done, add remaining leftover stuffing and mix well. 11. Cook for another 2-3 mins, stuffed bhindi is ready to serve. 1. 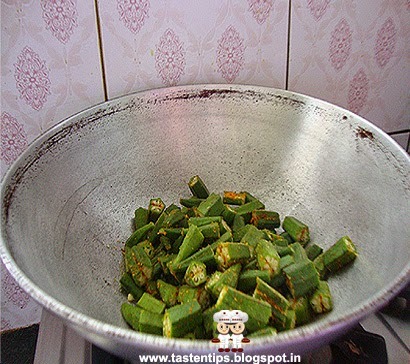 Bhindi/Okra should be fresh and small in size. 2. 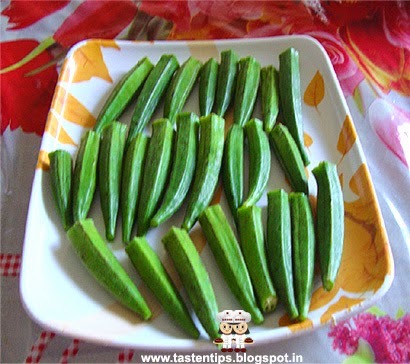 Dry bhindi properly otherwise it will turn sticky. to stuffing for a slight variation in flavor. 4. 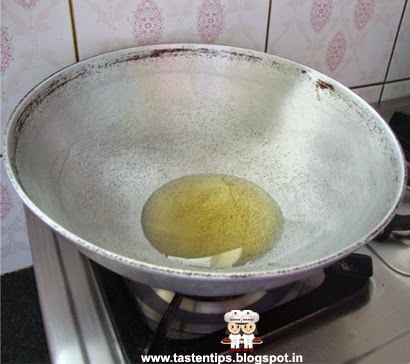 You can use lemon juice in place of dry mango powder. perfectly made!! looks so tempting!! Very yummy and looks mouth watering !!! Spicy n Yummy luking filling okra...perfect vth curd rice.